The interior had been redone; the owner later showed me a $2,000 receipt for the work. The center console had the correct amount of "patina". There were the right amount of scratches and nicks such that it didn't have the repo part look but was still in great shape. 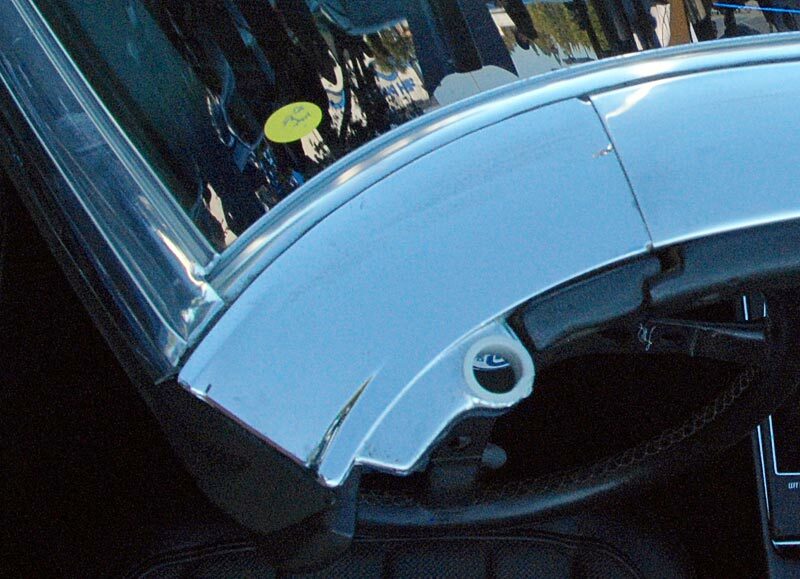 Below: Inside rear view mirror was in bad need of replacement. Not only was it severely tarnished, the mounting was loose and it had to be constantly adjusted. Above: The windshield had some delaminating. The various ID markings were present and it could be the same glass as installed in 1968 although I've been told it is possible to buy correctly marked reproduction windshields. I drove it briefly through the streets of Santa Monica. This is a crowded part of town which was unfortunate because there is no opportunity to safely test the potential of a performance automobile. Still, all looked very good. 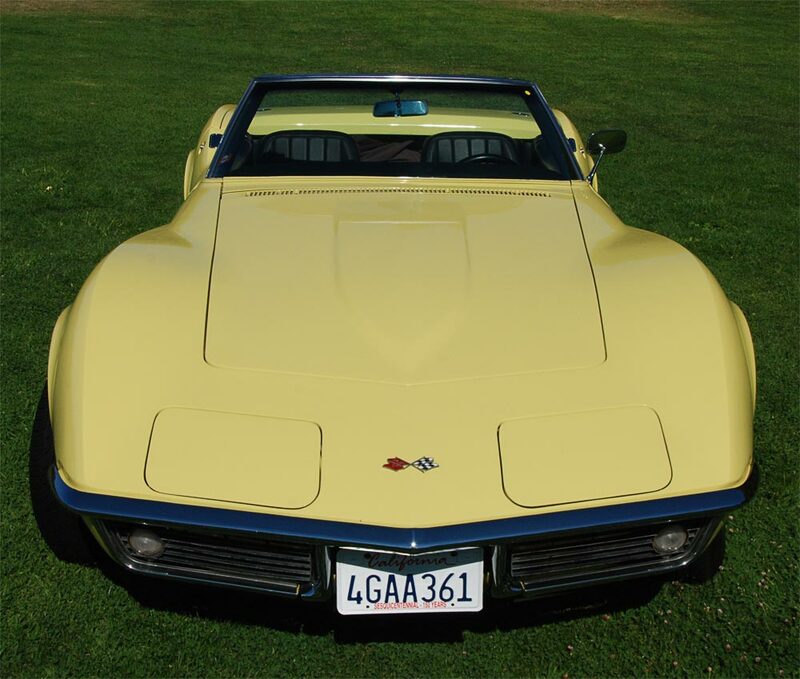 It pulled well and was typical of Corvette base engines of the time. Shifting and clutch action was very good. The steering worked well, with the only drawback being the lack of power assist. A pleasant surprise was the overall solidness that the car exhibited. It was completely silent while traversing rough spots in the pavement. I later learned that it had Dynamat sound deadening installed, a $260 line item as part of the $2,000 interior job. 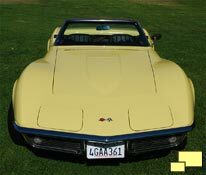 Overall, this particular 1968 Corvette looked like it had spent a fair amount of it's 43 years in storage. The odometer had been stuck at 69,828 miles since the current owner inherited it from his father about seven months earlier. 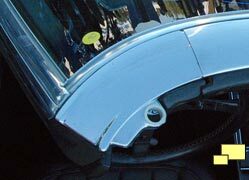 Above, left: The windshield header was mostly free of the marks that come with opening and closing the top. 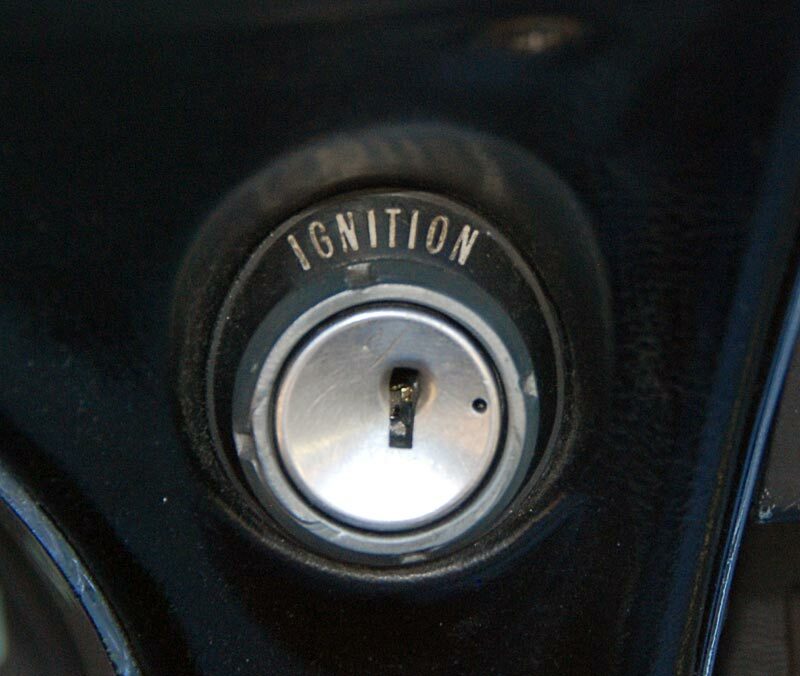 An even better sign was the surround area for the ignition key (above, right) which was similarly free of scratches - another indication of a low mileage car. I was very satisfied with the inspection and test drive, so the owner and I met in a conference room at the owner's workplace. I looked over the title and other paperwork which consisted of receipts for recent work, totaling about $8,300. I mentioned the asking price of $21,500 and asked if he would accept $21,000. 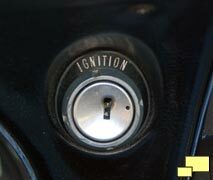 He said that he had intended to fix some of the problem areas such as the non working clock and missing floor mats. I replied that I was fine taking the car as it was. He looked up at the ceiling a bit, kind of let the concept bounce around between his ears and said "OK". And so it was done. 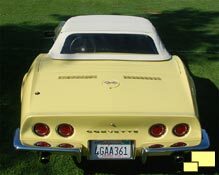 I was a Corvette owner. 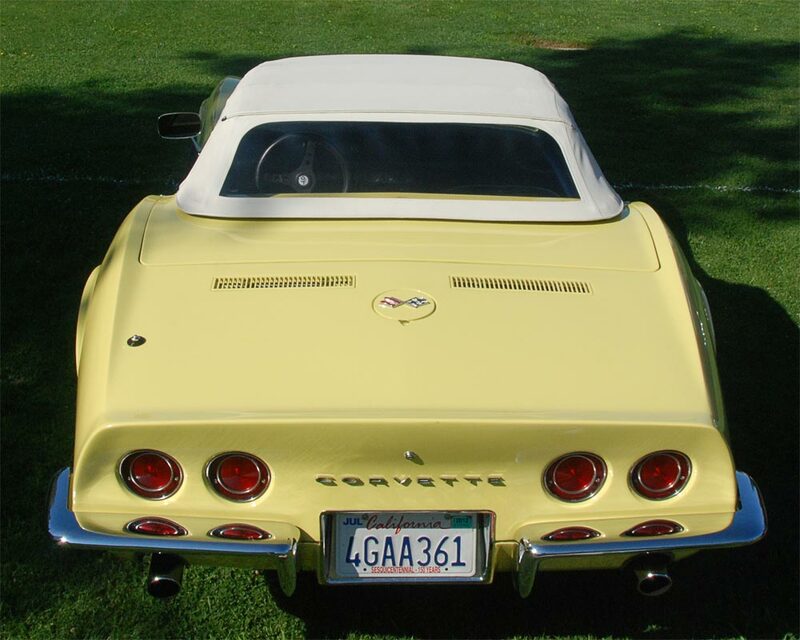 No longer could I call my self "the smartest man in the world about Corvettes who had never owned one" and it felt very good. The drive home was a bit nerve wracking as it involved traffic on the 405 freeway between Santa Monica and home in the San Fernando Valley. All signs continued to look good with great oil pressure and water temperature around 160° despite the hot day.